There a party out there somewhere and you can show off your feelings with this Head Phones Button 4 pack. Vinyl is coming back and bigger than ever. Perfect for hats and jackets. 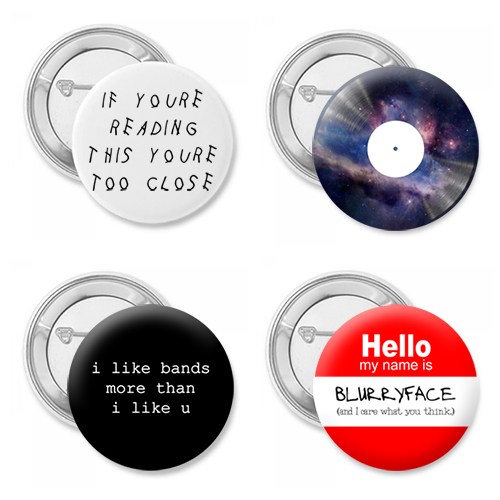 This 4 pack button set is for the music lover in your family. The Head Phones pack includes a vinyl record, personal space button, band lover over human and the drunk and disorderly. These trendy buttons will say how your feel without you saying a word. Order a set in your choice of sizes.